I have a problem with many progressive metal bands. They tend to favor aggressive bombastic drums, bass, and guitar over substance. Not so with the young Canadian band Cydemind, who are releasing their first full length album on May 26, 2017. 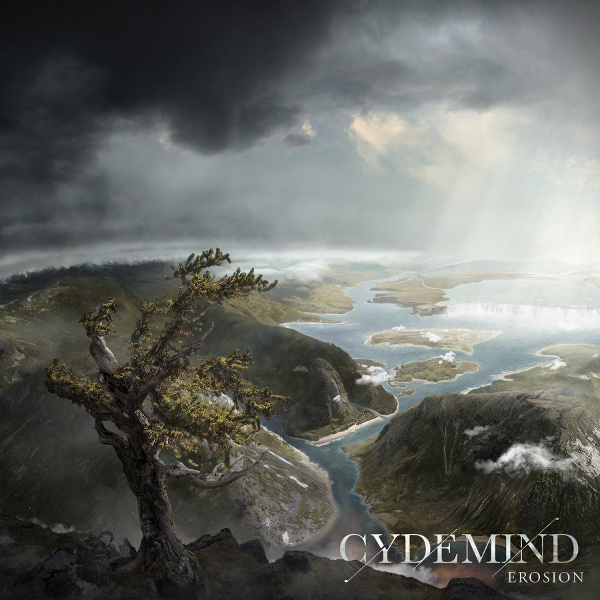 What sets Cydemind apart from others are the band’s classically trained violinist Olivier Allard and keyboardist Camille Delage. Olivier’s violin brings both a progressive and a jazz element to most of the six instrumental tracks. And what could have easily been a set of similarly sounding tracks Olivier, Camille, guitarist Kevin Paquet, bassist Nico Damoulianos, and drummer Alexandre Dagenais effortlessly trade lead lines if only for a bar or two each. My one criticism is that the drums are mixed too loud and tend to overpower the other instruments. And there is this annoying rhythmic clicking that could be an artifact of digitally recording the percussion. The album’s theme revolves around nature and it relentless persistence over time, as seen by the track titles “What Remains,” “Tree of Tales,” “Derecho,” “Red Tides,” “Stream Capture,” and the epic “Erosion.” “What Remains” is pure progressive metal, but “Tree of Tales” alternates between energetic and calm interludes with guitar, piano, or violin. “Derecho” (a storm system that moves a long distance rapidly and brings winds which can devastate an area several miles wide) begins with a beautiful acoustic guitar and violin duet that is joined by piano, the calm before the storm. Midway through, the storm hits with everyone interweaving their instruments rather than playing a string of solos. Cydemind takes us to the shoreline with “Red Tides,” that slowly builds from a drone to full on progressive metal with Olivier picking up Kevin’s guitar solo, and then handing it off to Camille. I particularly enjoy “Stream Capture,” a beautiful sedate contemplative tune with acoustic guitar, classical piano, and violin passages. The album closes with the massive 27 minute title track. I was a bit apprehensive before I listened to this track, fearing that it might be 27 minutes of aggressive progressive metal gymnastics. I was way off base. Camille's exquisite piano intro opens “Erosion” that then transitions to rapid synth runs, doubled guitar lines, etc. Cydemind is constantly shifting themes and focus. Everyone shares equally, taking turns and trading lead lines. Though it is a bit long at 27 minutes, the track does end majestically. So, don’t be put off by the progressive metal label, give this band a chance and you may find yourself becoming a fan.